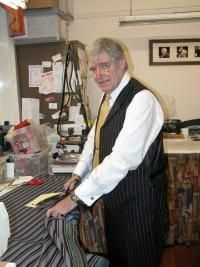 James Personal Tailor was established in 1973 by James Pendlebury of Manchester.After many years during the mid to late 1960's as an apprentice bespoke tailor serving under master Savile Row trained tailors. It was time to open his first tailoring business in the spring of 1973 and this first premises was at Little Lever in Bolton.Then after two years at Little Lever and gaining a large customer base, it was time to move onto premises to Manchester city centre. 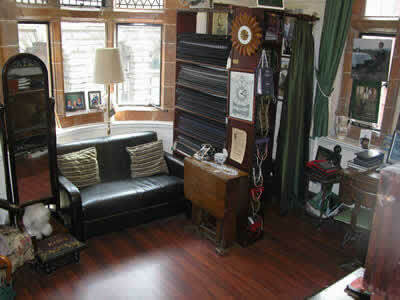 His first Manchester city centre tailoring business was at Corporation Street opposite the Co operative bank. Then in 1988 after many a happy year gaining a good customer basis in the city, it was time to move to larger premises at Hanging Ditch on the front of the Corn Exchange building. This has now changed to the triangle after it was unfortunately destroyed in the Manchester bomb. After this tragic event he moved the business to the current premises at James Binney House, Cross Street where he has been trading since 1996. In 1999 James's son Michael Pendlebury joined the business to train in the foot steps of his father and in doing so he brought a new modern slant on the latest fashion trends. Introducing an array of colourful linings to complement the choice of suitings together with his father they also created a more updated closer fitted bespoke suit for the younger clientele. Michael had worked with Savile Row cloth merchants Scabal over the past 13 years to ensure all the latest exclusive designs are in store for customers of James Personal Tailor & Son. 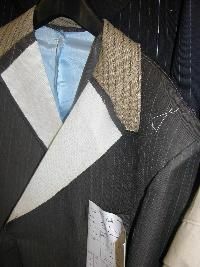 Some of the ranges we have are exclusive to only a selected few bespoke tailors off 'The Row'. Below is an interesting short video on the story of how James became George Best's last tailor. We offer classic mens English bespoke tailoring with either a modern or more traditional classic cut which will be fitting to your requirements. With over 41 years experience James has hand crafted the most stunning mens bespoke suits with utmost care and attention to detail. We are one of the few remaining mens bespoke tailors in the North West of England who still use a floating horse hair canvas chest piece. 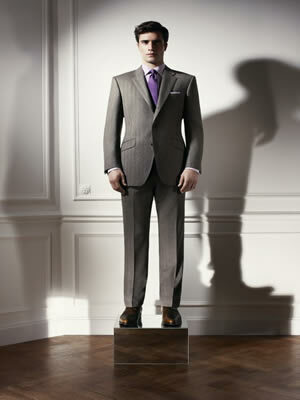 This internal canvas ensures a far superior finish when compared with made to measure suits on offer. 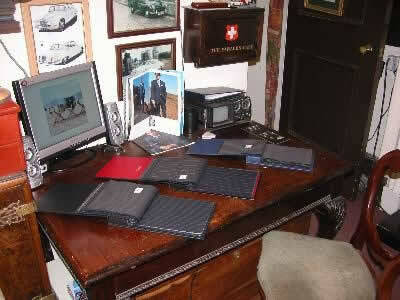 Over two thousand hand stitches go into every bespoke suit, hand crafted to up most perfection. 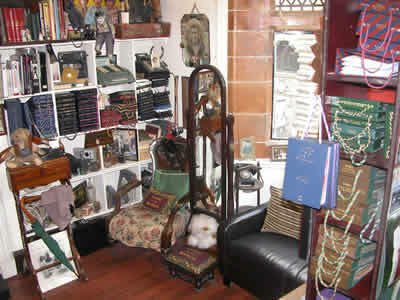 Our unique traditional consultation room, welcomes clients of all ages to discuss their personal requirements in a warm, informal, relaxed atmosphere. Huge stocks of suit fabrics, rare and unusual suitings are kept in stock, we travel to the mills in Yorkshire every three months and take a small selection of these hard to find designs and patterns.